Mik Fanguy interviewed Cafer for Jeehye's paper on the water treatment by COP-99. The interview is now online at KAIST Podcast with additional coverage by Professor Mik Fanguy of the College of Liberal Arts and Convergence Science, and Scientific Communicator Dan Kopperud. 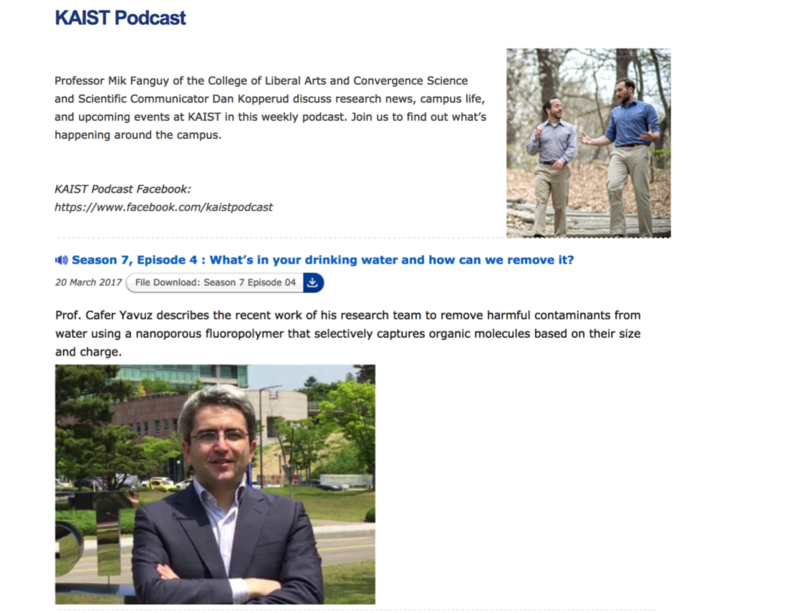 You can listen to the podcast here or you can visit the KAIST Podcast page to view all. You should also subscribe the feed on your mobile phone!